Whether your new home is 10 miles away or 1,000 miles away, moving is stressful for both you and your pets. Thankfully, there are several tried and true tips you can use to make it easier on your furry family members – and yourself as well. Keep your pet’s belongings in their original location for as long as possible. Don’t move their food or water dishes; leave the litter box where your cat knows she can find it. If you have a dog, keep his walking routine the same. Make sure your pup gets plenty of exercise and they may just nap through some of the packing. If your new home is nearby, take your dog for a visit and let him become familiar with the neighborhood and take in all the new sights, sounds, and smells. Give your pets the same amount of attention and affection as you always do, as much as possible. Get copies of your pets’ immunization records. If you’re moving out of state, check out the regulations regarding pets. Some states and counties require dogs to be registered and spayed or neutered, while others restrict the type of breed you can own. Your pets should already have identification tags, but if they don’t yet, there is no time like the present. Making sure your pets are wearing identification will help ensure they make it home if they happen to escape during your move. If you and your pets will fly for this move, try to book a direct flight and book early on. All airlines have regulations for transporting animals; some limit the number of pets that can fly on a single plane and all have rules regarding crates. Top Notch Tip: If your pet is set to travel in the cargo area of an airplane, you may need to obtain a formal letter from your veterinarian stating your pet is in good health and can travel; some airlines even require the letter to state the specific temperature range that is acceptable for your pet, due to the varying temperature of the cargo area. It’s moving day! All of the chaos and confusion may upset your pet. One possible solution is to have a friend or family member keep your pet while the loading is being done. If that isn’t an option, keep your pet in an empty, closed room with food and water, his favorite toys, and his bed. (Don’t forget the litter box if you have a kitty.) Attaching a “Do Not Enter” sign on the door will help ensure the door doesn’t get opened by mistake by a mover or helpful friend. Can opener, spoons, and lids. Paper towels, plastic bags, disinfecting wipes and hand sanitizer. Litter box, fresh litter and the pooper scooper. Recent photos of your pets, in case they become lost. When you arrive at your new home, allow your pet ample time to explore. Grab some dinner and just let them roam freely – or hide, if they prefer. Don’t force it; she’ll come around in her own time. 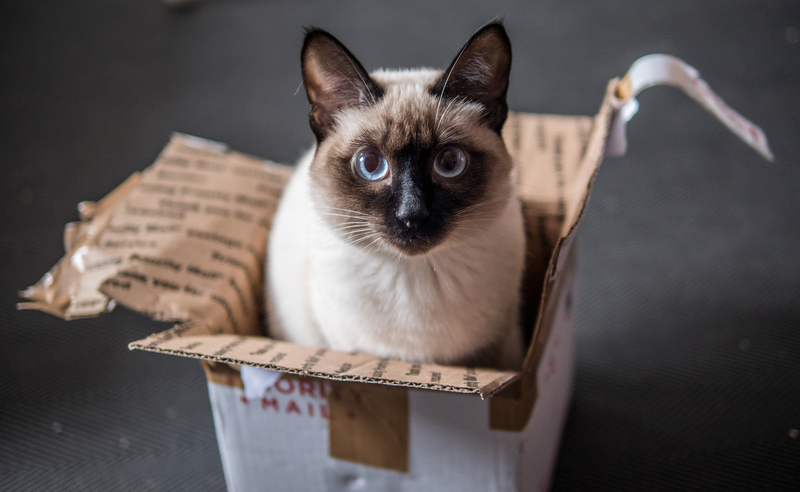 When it’s time to start unpacking, close your pet in a small room and leave them with food, water, toys, and bedding. 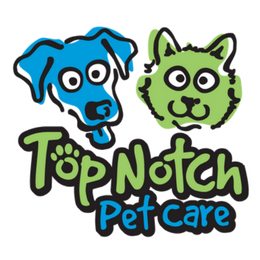 Top Notch Tip: Don’t wash your pet’s bedding before you move; a familiar scent will ease your pet’s worries. If you don’t have a pet bed, provide familiar clothing or blankets. Your pet may be insecure and more prone to misbehaving during the first few days in your new home. Try to be patient and find ways to reduce stress. Extra attention, treats, playtime and walks will help them adapt and keep up with the usual feeding and exercise schedule. Cats typically adjust to the new environment in a couple of weeks, while dogs can adjust in a matter of days. Top Notch Tip: If you know you’ll need a pet sitter at the new house, it doesn’t hurt to start looking early on.